Endive is a tough sell in the US. 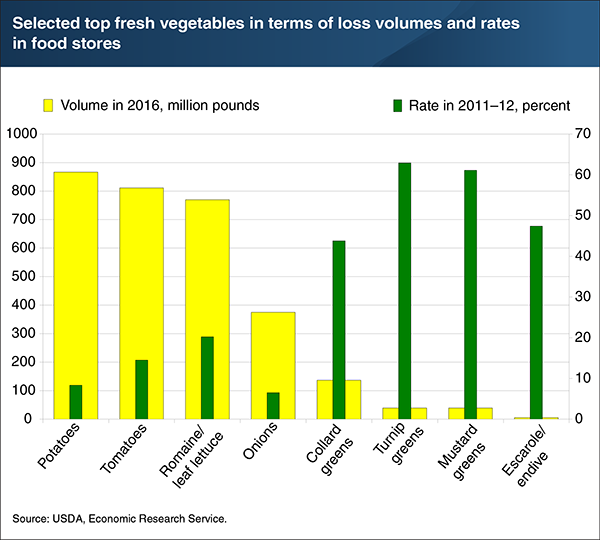 This chart, released by the ERS, compared fresh vegetables in terms of volume in stores and amount of loss. Escarole/endive had the smallest volume among the produce selected, but was one of the top losses. 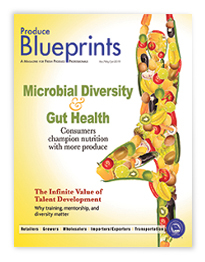 Click the chart to read more about fresh produce shrink. Turnip, mustard and collard greens also had low volumes and high rates of loss, compared to higher volume things like potatoes, tomatoes, leaf lettuce and onions. The chart was released concurrently with the new USDA, Environmental Protection Agency and FDA strategy to reduce food waste as part of the Trump administration’s Winning on Reducing Food Waste Month. “The new strategy prioritizes six key action areas, such as improving consumer education and food labeling, that will help us maximize the value of our food resources,” said EPA Administrator Andrew Wheeler, in a news release. Frank Yiannas, former Vice President of Food Safety for Walmart Stores Inc. and a new FDA Deputy Commissioner, also stressed the importance of keeping food safety and food waste connected.